I found this interesting (the rise) however I have my own reservations because of the possible change in rates and inflation in 2017. When inflation rises, interest rates also normally rise to maintain real rates within an appropriate range. PE ratios need to decline to reflect the increase in the earnings discount rate. Another way to look at it is that equities then face more competition for money from fixed income instruments. The cost of equities must therefore decline to keep or attract investors. Then there is the Rule of 20 to consider. 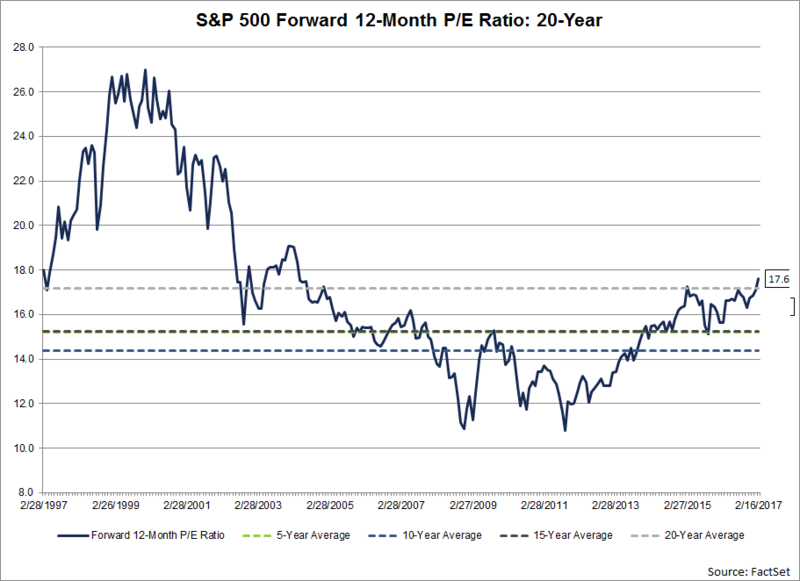 Rule of 20 equals P/E + long term interest rates (average of 10 and 30 yr bond rates). If at or below 20 minus inflation -- the market is a buy. If above 20 minus inflation -- the market is a sell. Today we're at just about 20. I think I'll keep my cautious side up. Keep moving up my alerts and stick to only brief swings. Something tells me it's going to be an interesting year. All focus on the Fed and inflation.